Lithonia Lighting GT Series Collection General-purpose LED troffer in white color, features cold-rolled steel housing and flush steel door. Dimmable troffer in square shape, uses 35.4-Watt lamp that has voltage rating of 120 - 277-Volts. Lamp in the troffer has color temperature rating of 4000K to ensure optimal light level in the surrounding. Lamp has average life of 60000 hours. Lamp offers 3300-Lumens of bright light output. Troffer comes with driver that uses eldoLED control signals to control dimming functions. It measures 24-Inch x 24-Inch x 3-1/4-Inch. This 12 pattern acrylic lens shade creates soft light to the surrounding. 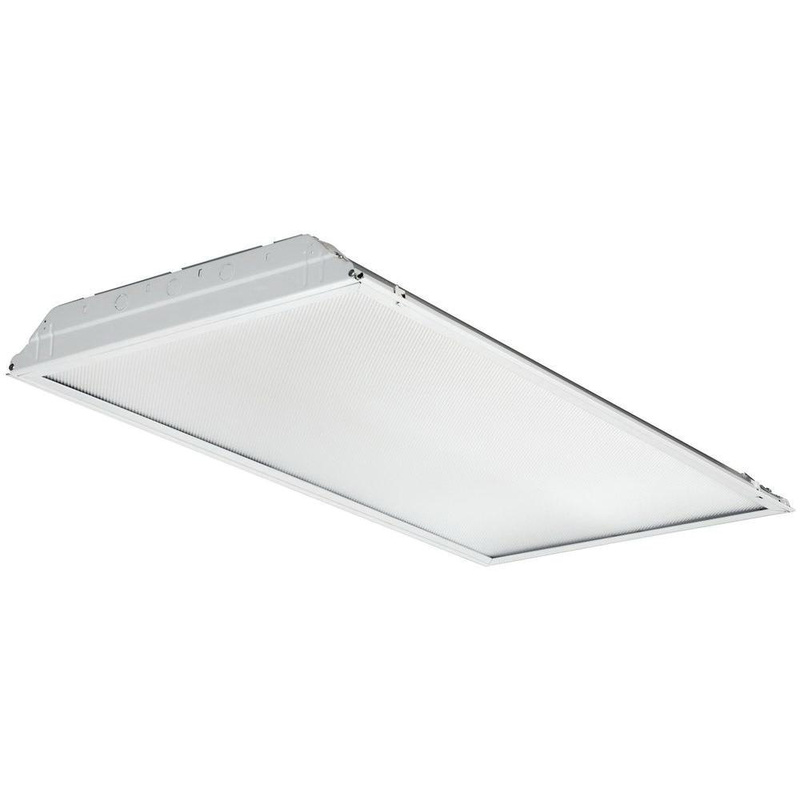 Recessed mountable troffer is ideal for schools, offices and hospitals. Troffer is CSA/DLC certified. * Inventory displayed is accurate as of 04/21/2019 01:40 EDT.